Start making money by recommending Recart to your friends and clients! Recart Affiliate Program is a massive opportunity for you. The average paid Recart user spends $74 a month and stays in the paid plan for 13 months. That means you're about to receive $240 after every paid user you bring to Recart. Register as a Recart Affiliate Partner and receive a 25% share from any payment made by new Shopify users who register with your link. Yes, recurring! 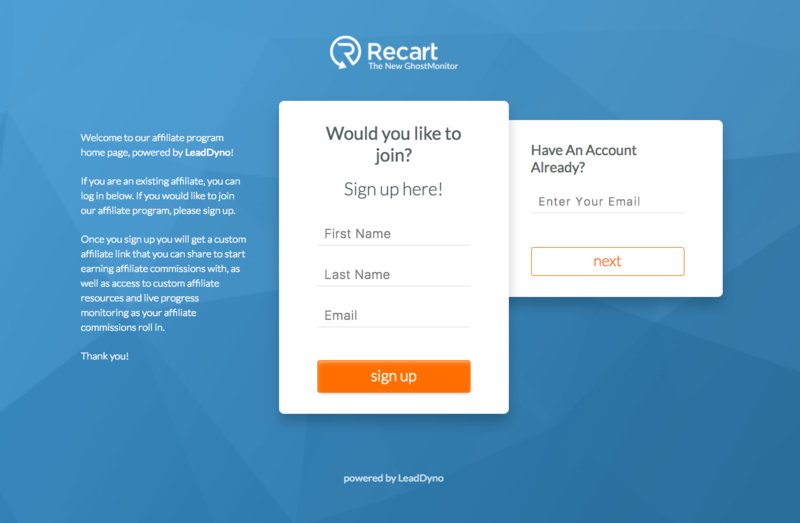 Becoming a Recart Affiliate Partner only takes a minute. First, please register as a Recart Affiliate Partner using our registration form. The registration form will take you to your Recart Affiliate Partner account page. Here, you can check your referral link. Send this link to your friends or clients, and if they sign up to Recart after visiting your referral link, you will receive 25% of their subscription fee. You can also see your progress and your payments on this page. Start sending your referral link to your friends and clients today! Have questions about the Affiliate Program? Let us know!